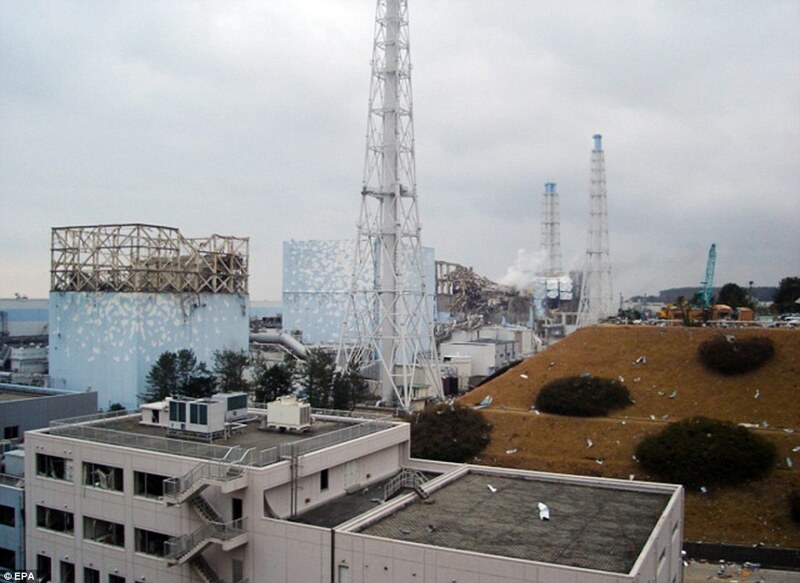 Tokyo Electric Power Co. said the water level in the pool storing the spent fuel rods at its Fukushima No. 1 nuclear plant’s No. 4 reactor may have dropped, exposing the rods. The agency said among the three, the situation is the severest at the No. 4 reactor because all the fuel rods are stored in the pool due to the change of the reactor’s shroud. At the No. 5 and No. 6 reactors, up to one-third of the rods are being kept in the pools. The more fuel rods that are kept in a pool, the more radioactive substances could be emitted. In some of the reactors – especially those to the right of the photo – the area in which the spent fuel pools are located appears to be severely damaged.